BANGKOK (Sputnik) – Seven Buddhists from Myanmar’s westernmost state of Rakhine were killed and 13 others were injured as a result of clashes with police, media reported on Wednesday. The incident took place early on Wednesday when over 5,000 Buddhists gathered to take part in a demonstration with nationalist slogans, the Channel News Asia media outlet reported. During the demonstration, clashes erupted with protesters throwing stones at police, which left more than 20 officers injured. The police responded by opening fire, which resulted in casualties. 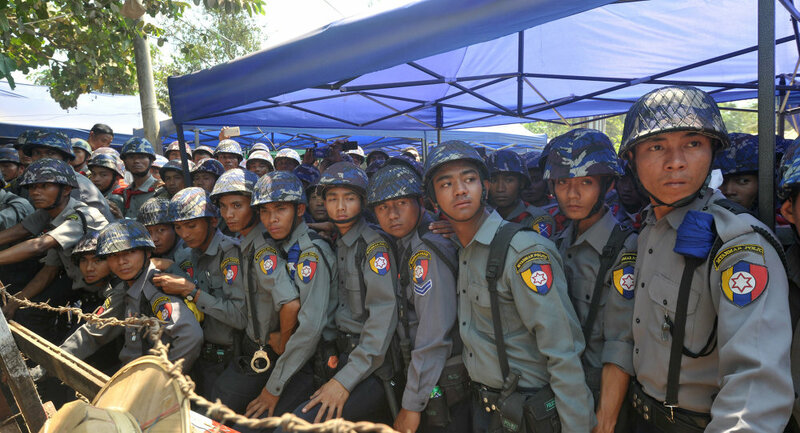 The clashes between Buddhist nationalists and police took place a day after the country’s government signed an agreement with Bangladesh on the repatriation of Rohingya Muslim refugees. The Arakanese Buddhists, also known as the Rakhine people, are an ethnic majority in the Rakhine state, which is close to the Burmese. Since 1948, they from time to time demand independence from Myanmar and occasionally engage in clashes with Rohingyas, urging the latter to flee to Bangladesh.